LIFE at the EPO is hard; salary may be better framed as “compensation” because for many workers there’s neither pride nor thrill in the job. It isn’t scholarly but more like a production line and stress levels are very high. Notoriously so; and it gets worse over time with growing ‘production’ pressure. This is how we feel. Emprisoned and powerless in our (golden?) cages. 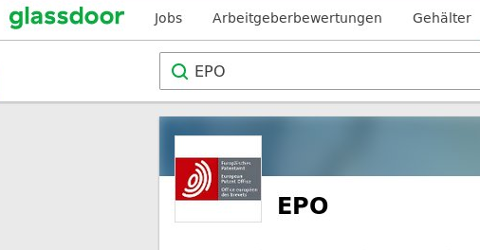 Blindly undergoing useless restructuring (for example, in the next 3 months everyone will be moving office room at the EPO), scared to speak out for fear of retaliation (every month a list of colleagues who “end service” for no reason is published on our intranet ). Everyone wanting to listen and possibly publish our incredible stories having been silenced anyway. Counting the days left (180) until “le roi” is gone. Hoping that we don’t end up with an “o rei” at his place. Like we said before, it’s hard to believe in “instant impact” when Campinos comes; much of the same management and policies shall remain in place. Undoing these policies probably won’t even be on the agenda. We have meanwhile heard from a reader about declining recruitment standards at the EPO; the HR department, led by Bergot, is struggling. Standards deteriorate as people lose interest in joining the EPO and many talented workers are leaving. This isn’t a theory/hypothesis but something that many insiders privately and publicly (albeit anonymously) talk about. The reviews are largely negative. Most of the relevant answers are in English. Intial interview was asking how I would interpret a chemical structure, is it new or not. If a knew a few pharmaceutical ingredients. Read a text in French/German and understand it. My french was a bit weak, but got a second HR interview. This was also ok, usual questions. Then had to wait 1.5 months, until I phoned them, then they said on the phone no…..strange! Procedure took 6 weeks, talk held in EPO Munich. The EPO selection process has 3 stages. Online test for personality and logic. Apparently personality does not really matter at this stage. Then skype meeting to discuss patent with your future coworker. Then you skype with an external worker which test your personality. Beware if you are a little bit creative of have a little bit too much of personality. They are looking for malleable people to follow their direction.Finally you get to meet the people in persons. This is when they almost harassed me and I was saved by another person who was in charge to check the interview process was fair. This job has nothing to do with innovation, you will get to scroll down and read a certain number of patents per day. They also are looking for very diligent people who will stay forever with them and follow whatever direction they are told. In my case I was applying for a certain technical field for which I got accepted and got the technical interview in another technical field. I had prepared the technical interview for weeks by learning the relevant vocabulary in the 3 languages and had a technical interview which had nothing to do with that. They suddenly to change the field without letting me know in advance. To me this was truly unprofessional. I had the same feeling of lack of professionalism when they invite me to come to the interview a week in advance but gave me half of the money to pay a plane ticket. I had to request more money and it worked and I can imagine some shy individual would not do so. Please ask for them to reimburse the full cost of the interview. In my case I would have paid about 1000euros out of pocket to come. Finally the real live interview was shocking with references to slavery as a joke about the job and pushy personal comments. I applied personally. The procedure took more than 3 months. Talk held in March 2017 at EPO The Hague (The Netherlands). Competency in HR? Led by a person who leaped many pay grades presumably owing to family connections?